For some reason I wasn't too motivated to spend time in the workshop this weekend. I'm not sure why... It's cold out, there's just enough snow on the ground that it makes non-show activities unreasonable and not enough snow to do snow based activities. 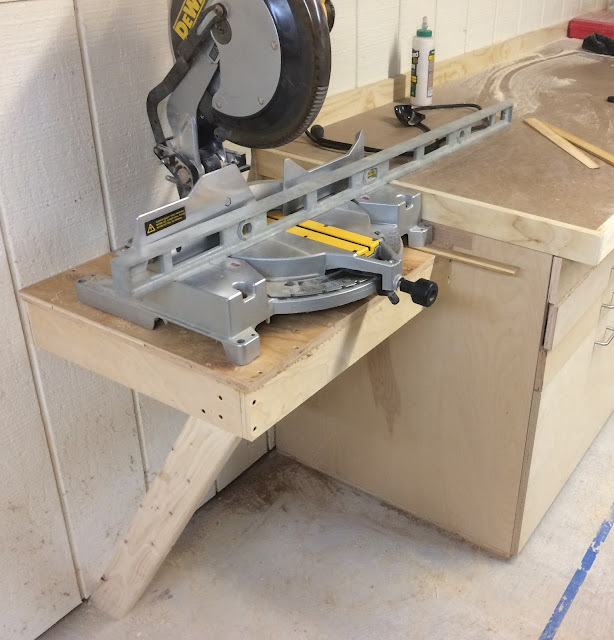 That said, I did get the miter saw shelf made and the saw moved onto it. Step one was figuring out the base of the saw and then cutting a piece of 3/4" plywood a few inches bigger in each dimension. 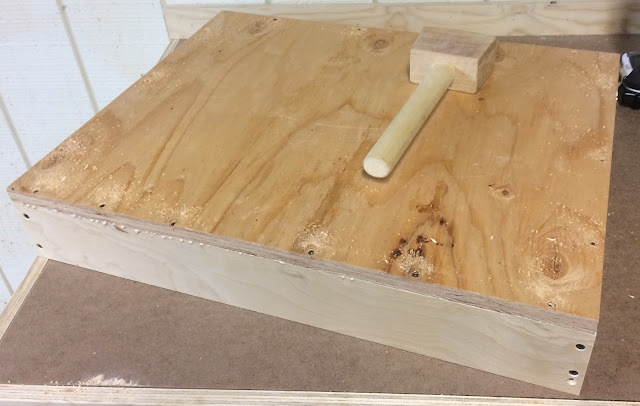 Since really all it needs to do is hold my saw off the ground I decided to use a scrap piece of 3/4" pine plywood. 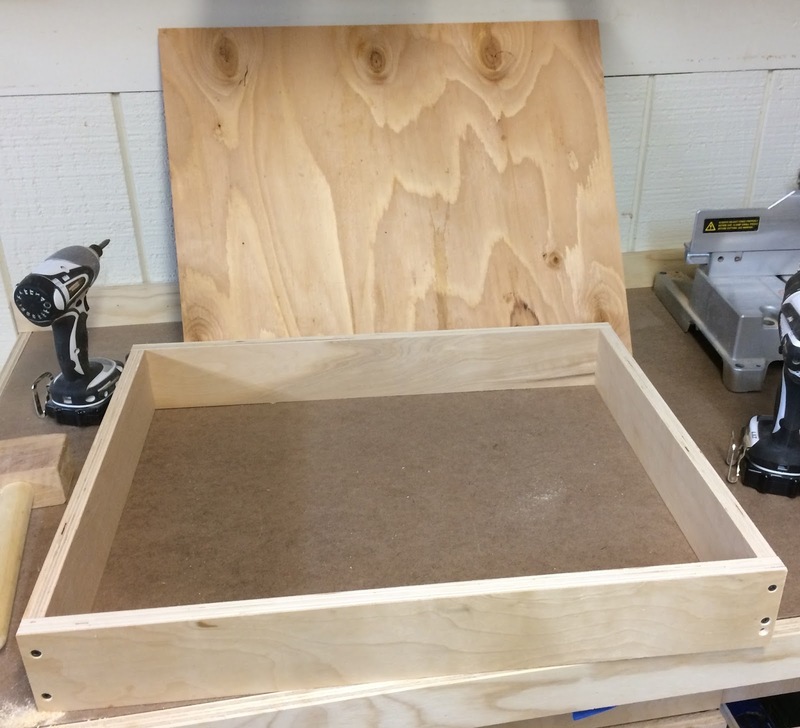 I did use some 3/4" hardwood plywood for the sides of the shelf. I glued and screwed the sides together first. Then glued and screwed the top on. The easy part down, next I had to put it in place. To put it in place I had to figure out how much lower than the bench top it needed to be mounted. 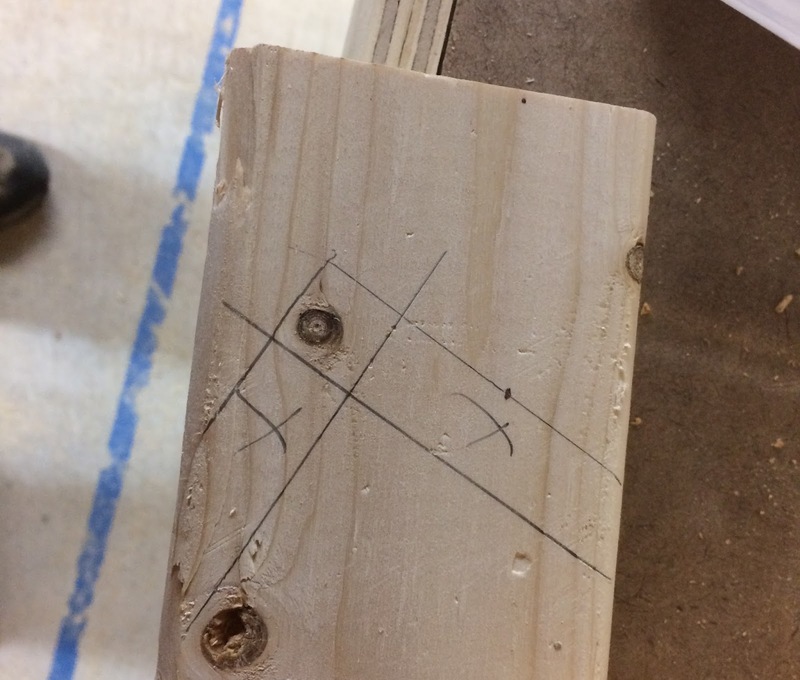 I did this by measuring the space between the bench and a straightedge placed across the saw. To set the height of the shelf I tacked a spacer strip beneath the trim around the top of the workbench then added braces to hold it level. 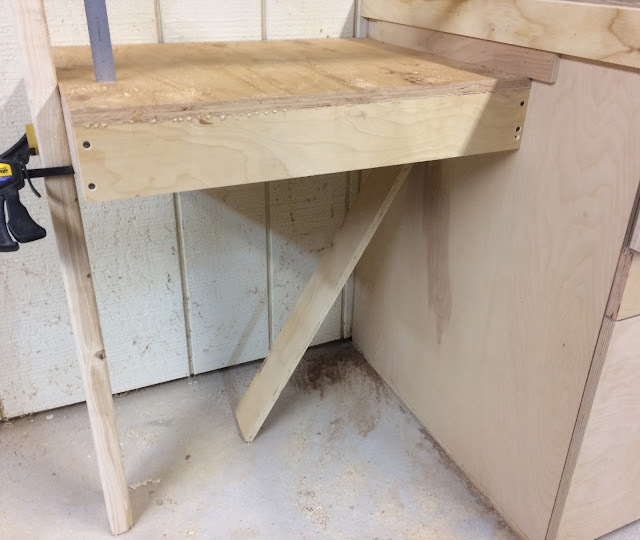 After adding a few screws holding the shelf to the bench and the wall I added another temporary brace to the front left corner so I could mark the final leg. With the leg temporarily attached to the outside of the shelf I marked the inside of the leg. 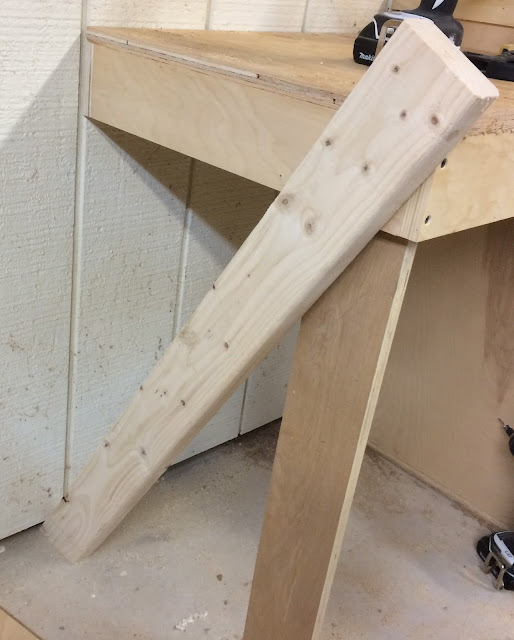 I trimmed the leg to length and then installed it inside the shelf. 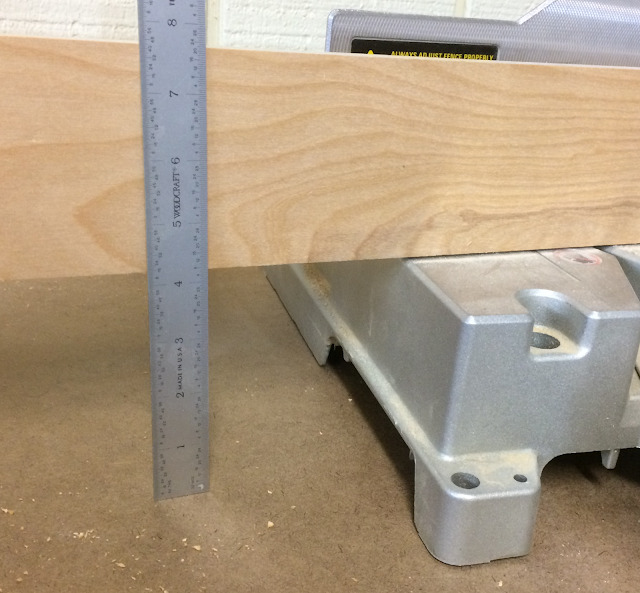 I wasn't planning on cutting the level, it's there because I was using it to align the top of the saw with the bench. The last step was to drill holes in the shelf and then dig into my stock of bolts and attached the saw to the shelf. Not bad for just a couple of hours of work.